For most people, the only thing cute about a spider is the “Itsy Bitsy Spider” lullaby. Have you ever been relaxing on the couch while watching a movie and noticed a spider crawling across the floor? Sure, you may be able to get rid of that spider, but chances are there are more spiders around your residence. If you feel like your Ham Lake, MN home has a spider problem and you are in need of a professional spider exterminator, then our team at Eco Tech is the perfect partner for you! Here at Eco Tech, we are not just your average exterminator. Instead, we focus on using organic and all natural extermination products that are safe for humans and even your pets. With more than 15 years of extermination experience, we know the proven ways to get rid of spiders in your home. There are so many different types of spiders in the Ham Lake, MN area, and these pests hide in different areas. Some enjoy wet areas, while other spiders would rather hang out in dry parts of your residence. One great thing about living in Minnesota is that we have very few poisonous spiders around, but chances are you still do not want them sharing a living space with you! Our baby safe products can exterminate the spiders in your home so that you can get back to living a life worry free of these unwanted pests crawling across your floor. Pick up the Phone – Once you notice a spider crawling across the floor in your home, it is time to pick up the phone and notify our extermination team at Eco Tech. Thorough Inspection – Quickly, one of our team members will arrive at your home during a convenient time and perform a thorough spider inspection of your residence. We will find the spiders and determine where they may be spending their most time in your home. Before leaving, we will offer you an affordable quote on our all natural extermination services. Time to Exterminate – Once you choose a partnership with our team at Eco Tech, we will begin the extermination process using only organic and all natural products that are safe for your family. Repairs – Although spiders are not known to cause a lot of damage in a home, we are equipped to fix any repairs in your residence that are caused by unwanted pests. Prevention – Not only do we exterminate the existing spiders in your home, but we also prevent them from coming back in the future! If you are ready to get back to living in your Ham Lake, MN home without the worry of spiders crawling across your floor, it is time to partner with our professional spider exterminators at Eco Tech. 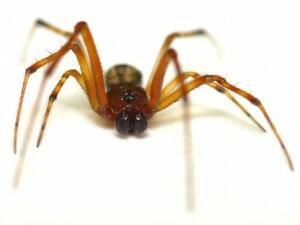 Give us a call today at (763) 785-1414 to set up a spider inspection for your home.